Eco-friendly reusable “bag system” is reducing single-use plastic bag waste in California—and beyond. Photo by Sarang Sohldoost. Used by permission of Lotus Trolley Bag. “We are failing our environment,” says Farzan Dehmoubed, co-founder of Lotus Trolley Bags, which sells a set of four reusable bags that are designed to be used in place of the carry-out plastic bags that American shoppers typically use to transport groceries home from the supermarket. As California residents, Dehmoubed and his wife/company co-founder Jennifer Duvall, are acutely aware of the environmental damage caused by plastic, with the Great Pacific Garbage Patch just one high profile example. Frustrated by the clutter and waste associated with plastic grocery bags, the couple decided to create a product—and company—to address the problem. “My wife and I are from San Diego and live by the ocean and really care about the environment. We thought ‘there has to be a better solution’,” says Dehmoubed, noting that the plastic bag ban (Proposition 67) that California voters approved in 2016 hasn’t solved the problem of grocery bag waste. “We were really happy about the plastic bag ban but that caused shoppers to accumulate the thicker plastic bags that they have to purchase for ten cents each [when they fail to bring their own bags to the store],” he adds. After researching the relevant issues and developing prototypes the duo came up with a design that addresses the problem. 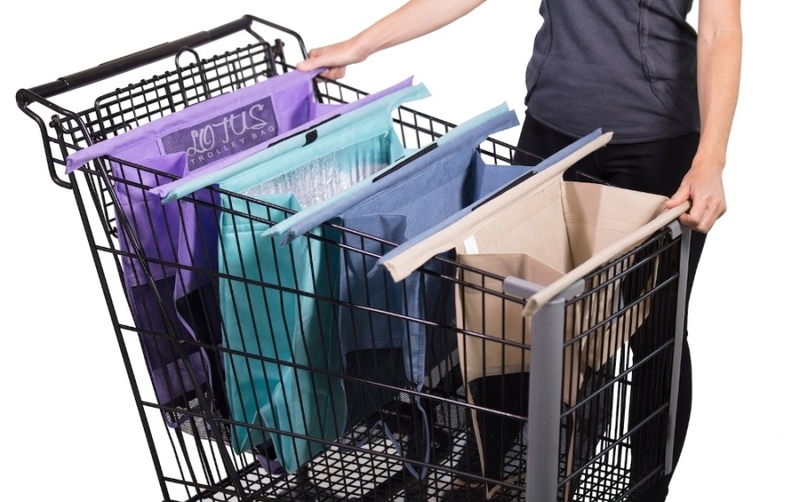 The result is the Lotus Trolley Bag, a set of four reusable and washable bags that spread out accordion-style along the top of a grocery store shopping cart. As for consumer response, the early results are promising. Lotus Trolley Bags are already available in the stores of select grocery chains in California and elsewhere. Consumers can also buy direct via the Lotus Trolley Bag Web site. Meanwhile, the company has received inquiries regarding partnerships from 14 different countries—including Costa Rica and Australia—where plastic bag bans are in place or could soon materialize. Route 66: Road Worthy—Revitalizing Route 66 in Arizona. The End is Near, No?—Two-thousand years and we’re still here. On the Road to Fewer Underride Fatalities—Lois Durso of Stop Underrides on making side underride accidents less dangerous. 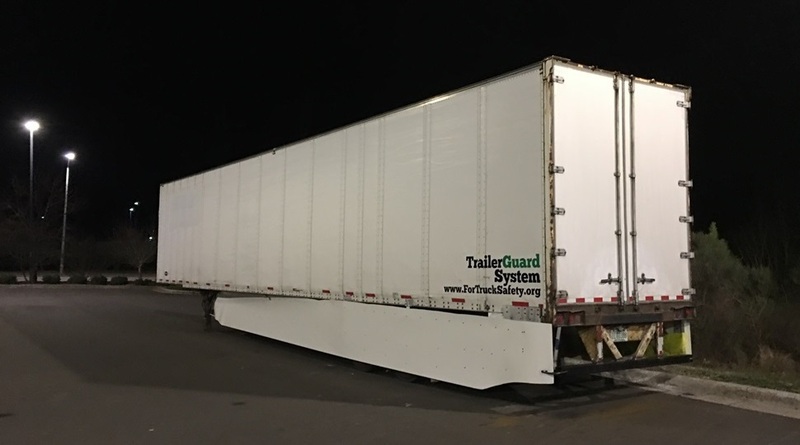 Making Underride Accidents Less Deadly—New technology aims to reduce the number of deaths caused by side and rear underride accidents.